I have had a book called Felties by Nelly Pailloux for a long time now and the only thing I have done with it is to copy the patterns for each toy. I was really organised, I cut out each pattern piece for the toys and put the pieces into resealable bags. But as is usually the case life got in the way and my little pattern collection was put on the shelf. So a few days ago, after a particularly stressful week, I decided enough was enough, my little friends need to be given life. 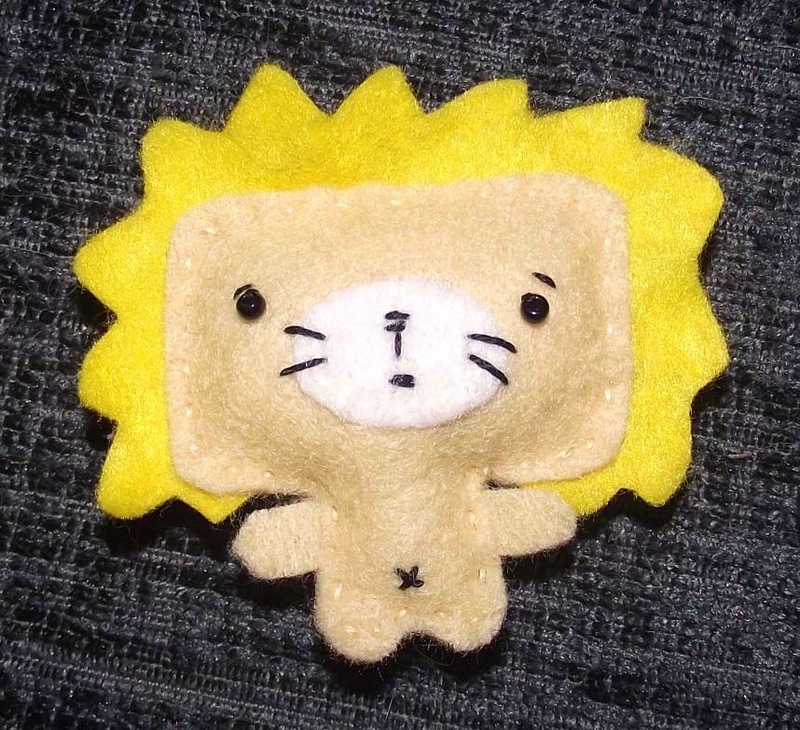 Here is my first creation the Little Lion, he is about 2 inches tall and is so cute. To make him you only need scraps of felt, embroidery cotton and 2 black beads. I have really enjoyed making him, although I'm not sure what to do with him now, and will be back later with a few more of my creations.